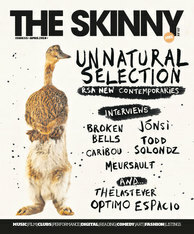 YOU CAN READ OUR CURRENT ISSUE OF THE SKINNY HERE. Radge Media started life in 2005 with a group of people who were passionate about their local culture, and did not see a place in the existing media where that was being documented and shared. The volunteers who started this magazine were each heavily involved in a different area of Scottish culture – music, film, visual art, clubs, comedy, theatre, books – and wanted to create a place to share their passion. The aim was to spread the word on what was going on in a multitude of cultural platforms, and to offer a space for critical dialogue. Out of a passionate team grew The Skinny, a monthly what’s on magazine, offering coverage from in-depth features on the best culture in Edinburgh, Glasgow and Dundee to daily listings for the venues our readers wouldn’t want to miss out on. 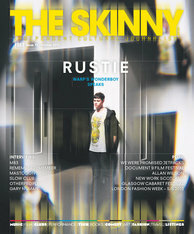 The Skinny team then went on to produce an annual Student Handbook in Scotland, offering new and returning students an exhaustive guide to all their city has to offer and bringing the venues, promoters and punters closer together. 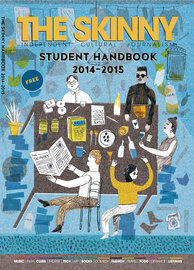 If you want to get up to date on what Edinburgh, Glasgow and Dundee offer students then have a read of our guides here. 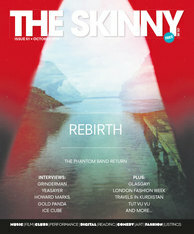 In 2013, The Skinny expanded into the Northwest of England launching a new edition of the magazine in Liverpool and Manchester. Hiring a new team of committed and dedicated writers, illustrators, researchers and production staff we began making The Skinny Northwest. Following up with a dedicated Student Handbook in 2014 for Liverpool and Manchester, profiling the best venues, festivals and things to do, we created a handy guide by locals, for locals focused on the student lifestyle. Take a peek at our insights online. After seven years of being sister titles with Fest magazine, the ultimate and largest free guide to the Edinburgh Fringe Festival, we are taking on full management of the publication and website festmag.co.uk in 2015. This includes a preview edition distributed in London, Edinburgh and Glasgow in July prior to the festival kicking off and five bi-weekly editions throughout the festival itself, every Tuesday and Friday. Over the years Radge Media Limited has also produced a range of bespoke supplements, guides, maps and printed materials for our partners and clients, all based on their requirements and brief. 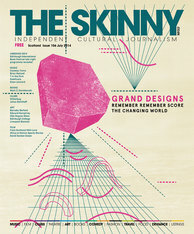 You can subscribe to our monthly title The Skinny and be the first to the receive a copy direct to your door, just subscribe here to cover postage. To keep on top of recommendations, we whittle down every week’s events in a useful top ten guide via our weekly eNewsletter Zap which you can sign up for here.